Learn how to distribute commission to an in-house referring agent. 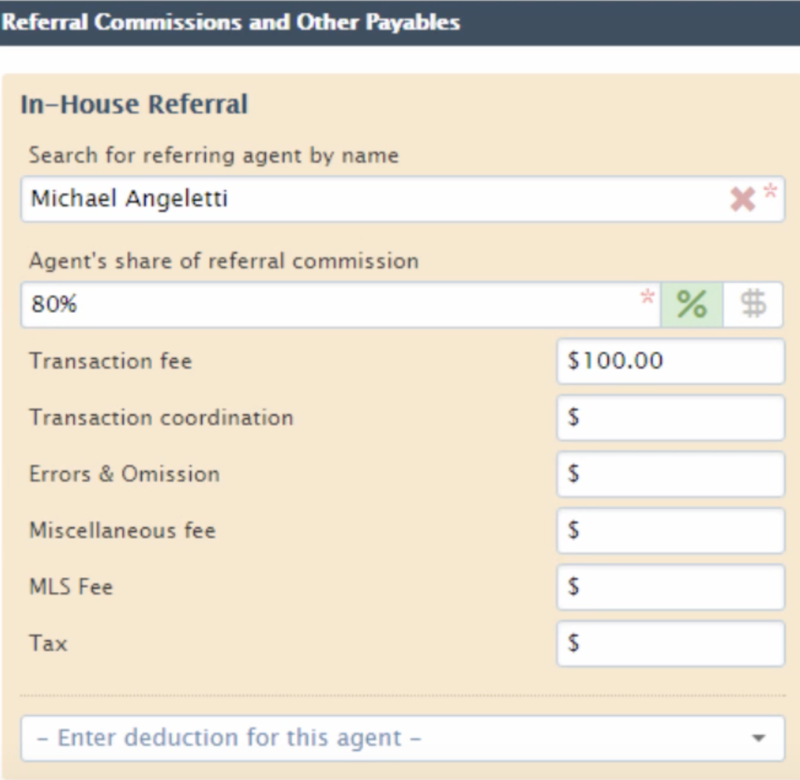 Fill in the Total Referral Commission field as a % or dollar amount. Check the “This is an in-house referral” box. Search for the in-house referring agent by typing their name. Enter the amount of commission the referring agent should receive as a % or dollar amount. Charge any fees and account for any deductions for the referring agent.